So you dropped the big bucks on a new iPhone 6s or 6s Plus. But then the unthinkable happens, its screen gets cracked or something stops working! Luckily we are here to pick up the pieces and fix it so it works like brand new again! 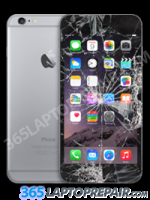 You can believe in us and our iPhone 6s repair service! With certified technicians who have worked on the iPhone 6s and all previous generations, we have become experts in iPhone repair! The replacement parts we use are brand new and of OEM-quality. Our repair services are below, so check out the one you need. Don't see what you are looking for? Get in touch with us via our contact form! Looking for the part only? We sell just the replacement LCD and Digtizer screen assembly is you would like to do the repair yourself. The screen for the iPhone 6s is only $60. 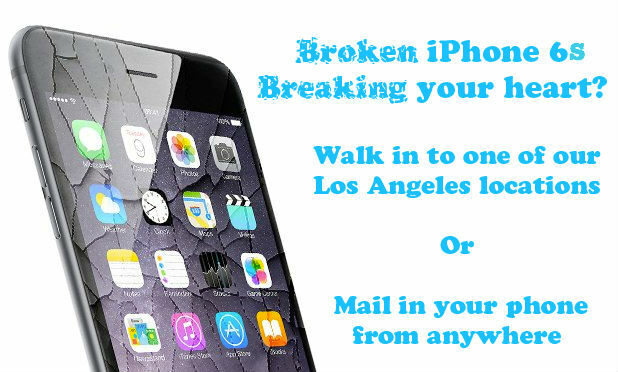 Free iPhone Diagnostic and Repair Estimate! Only pay shipping until you find out what is wrong! Cracked screen or LCD with lines running through it? This is the repair you need. We will remove your old screen, clean it out real good and replace it with a brand new high quality LCD and Digitzer (Touch Screen) assembly. In the picture above you can see the replacement part for the black iPhone. With this repair the front of your phone will looks good as new! 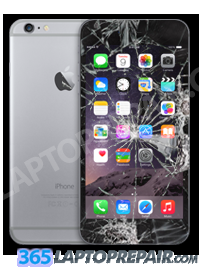 With a 90 day warranty, fast shipping and a quick turn around time, there is no reason to go anywhere else for your iPhone screen replacement repair! Not sure what the problem with your iPhone is? It's ok, these are complicated pieces of technology. Our certified technicians have the experiece required to accurately diagnose any problem your iPhone may be having. Send in your phone for our diagnostic service and you will only pay shipping to and from our Tech Center. Once we recieve it, we will perform a full evaluation and contact you with repair options and a quote for repair. You can then make your decisions once you have all the information at your disposal.